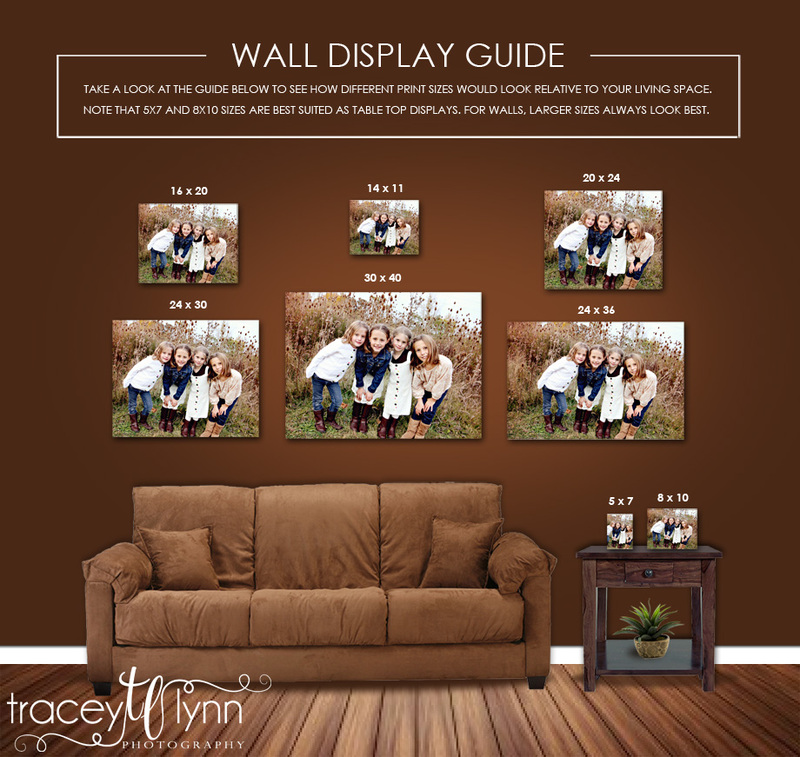 Tracey Lynn Photography: Northville, MI Photographer | What Size Prints Should I Order? Northville, MI Photographer | What Size Prints Should I Order? So you had a great session and ended up with gorgeous photos. Perfect, but don't abandon them in the gigabyte graveyard on your computer - hang them! While I know that sounds easy, I also know how much work it is to first choose the photos you want and then determine what sizes will look best on your wall. I've been known to cut poster board into the dimensions that I'm considering so I can visualize it, but this little guide does the trick too. When in doubt, always go bigger. I've never had anyone tell me their canvas or print was too big, but if it's too small, you will notice. Look at how tiny an 8x10 is on the table below!